The argument is essentially the same. However, at least from a Christian standpoint, the argument seems much weaker. The idea that god (as described within the Islamic system) and his messenger should be believed since the gain is much greater than the loss, only makes sense if there is no competing system. 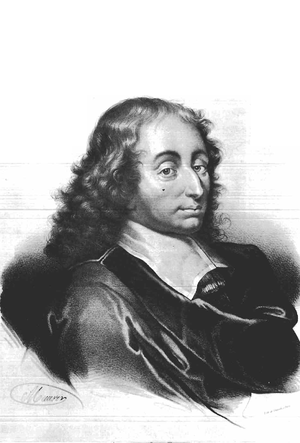 Pascal’s Wager essentially works in a setting where there are two essential positions: Unbelief (or nominalism) in a religious system versus Belief in that same religious system. Things fall apart in a pluralistic culture. Does that mean that nothing can be said? To me, it might be a solid wager in the broadest sense. There is a basic soundness that believing in God if God exists is of greater benefit then the loss associated with believing in God if God does not exist. Still I am not sure that Pascal’s Wager is all that useful in missions. Nearly everywhere now, cultures are either pluralistic or are dualistic where Christianity is an outsider sytem. The idea that having religious faith “makes sense” on some level may be comforting to some. However, in a pluralistic society, there are too many options. Still, we live in a time when the vestiges of logical positivism remain (at least for the moment) so there are still some that feel that faith and truth are at war. Works such as that by Pascal and William James (and the various challenges to naivety of scientific exuberance, “Popperism,” and positivism) help some realize that the realm of faith can be an intellectually safe place to dwell. It seems to me that Christians should avoid the extremes of placing faith in stark contrast to logic (faith against cognition) on one side and “scientifically proving” faith on the other side. With the growth of post-modernism, faith is given more respect (as long as it is tinged by doubt). Faith is necessary (even unbelief takes a certain amount of faith of one sort). The growing challenge is that faith communities must learn to welcome both “thinkers” and “feelers.” Both are made by God and both have a place in His church.